Since these are the last few days of my silence I’ve purposely stayed inside (except for exercising) and quiet as much as possible. Love unconditionally. Honor myself. Connect. Today, I had the adventure (a generous description!) of driving to choir rehearsal on Valentine’s Day during the L.A. Marathon. It took me an hour to go 4.8 miles. WooHoo! 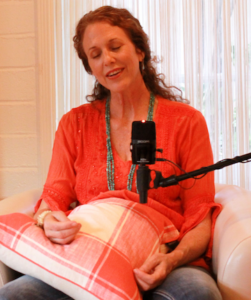 I haven’t talked much about my meditations, because they’re precious. But there’s one thing I will share that I’m in awe of. There is a sound I have heard my entire life. It’s just “there”. I can’t describe what it sounds like, just that it’s there, behind my awareness and outward perceptions. I’ve not given it any attention at all. Just like when I used to have spiritual experiences as a child that I never talked about because I figured everyone had them. I’ve never talked about this sound. Lately though the sound has gotten louder. And during meditation the other day, it got very loud. If I were to try to describe it, it sounds to me like the essence of things, or what everything sounds like. 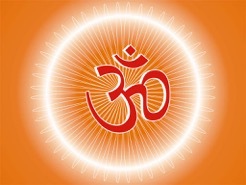 I just learned the other day that this is considered the sound of OM or AUM, the fundamental sound of all creation (although one doesn’t necessarily hear an “M”), and that yogis meditate on that sound as part of their practice leading toward cosmic consciousness. I don’t know about that in my case, but I do know that when I tune into that sound I feel incredibly peaceful and connected. I’m going to keep doing it.